Claire I. 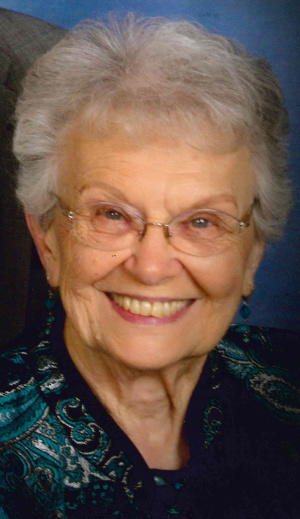 (Campbell) Hess of Willow Street, loving wife, mother, and grandmother, passed away at age 97 on January 23, 2019, at Quarryville Presbyterian Home. Claire was preceded in death by her husband of over 71 years, Henry Hess, her parents, Lloyd and Helen Campbell, and 2 brothers; Robert and Richard. She is survived by 3 children; Jeanne (Jack) Hoffard, Gregory (Joan) Hess, and Michael (Mary) Hess, 6 grandchildren, and 5 great-grandchildren. Claire is lovingly remembered for her sunny smile, love of travel, and devotion to her family. Claire was an exemplary homemaker, a skilled secretary, and an active lifetime member of the Farm Women Society #22. During World War II, she awaited the return of Henry from Alaska and the Aleutian Islands. They were married as the war drew to a close and began their life together in Florida. An avid reader, Claire could always be found with a book in her hands during times of relaxation, if she wasn’t enjoying a game of cards with Hen or skillfully knitting an afghan or sweater. She supported her husband and children in all of their lifetime endeavors being an exemplary role model. Claire was equally devoted to her grandchildren and played an active role in their lives. She will be sorely missed by her family. In lieu of flowers, memorial contributions in Mrs. Hess’s memory may be sent to Lancaster County Society of Farm Women, 462 Maple Shade Road, Kirwood, PA, 17536. I am so sorry for your loss. I work in garden east at QPRC, and I will always remember Claire for her sweet personality, beautiful smile and her love for little candies/snacks sitting next to her comfy chair. She will be greatly missed. You are all in my thoughts and prayers! May you find comfort in knowing that warm thoughts and sympathy are with you. In the days ahead, may you find some small comfort in your many happy memories. I am so sorry for your loss. Your mom, grandmother and great grandmother was a special lady who touched the lives around her in so many beautiful ways. I have so many wonderful memories of the times our families got together when we were kids. Take care and share the good times you remember with each other. She will always live in your heart!